Gold To Outperform Bonds From Now On? 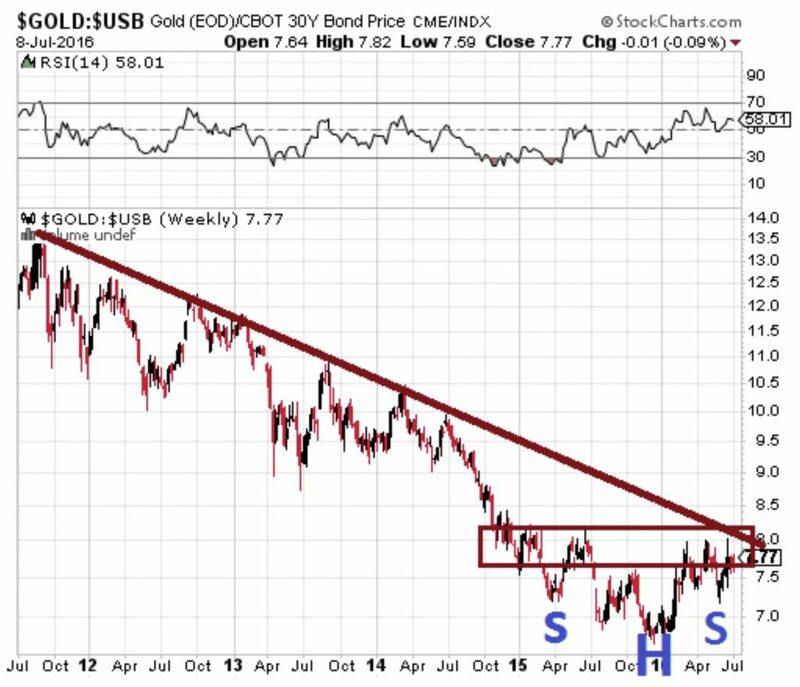 Dow Theory Letters: “The relative strength of bonds vs gold is shifting in favor of gold (see powerful reverse head and shoulders chart above)." Jasper Lo, chief executive of King International, said many mainlanders, especially “Big Mother”investors – elderly ladies who like to invest in the metal – were major buyers of gold, which has risen in price by 28 per cent this year, up 6 per cent in the last three weeks. “The gold rally started in the beginning of this year due to the many uncertainties about US interest rate rises, the Brexit and the dispute over South China Sea sovereignty between mainland China and the Philippines. These uncertainties have seen gold become a safe haven for investors,” Lo said.